The thrilling follow-up article to "Look Who's Coming Out But It isn't What You Think." Hey, look! I’m talking about disability again! I began doing this openly a few years ago when I first experienced the implications of having a chronic, degenerative health condition myself. Whether I want to or not, I’ve been talking about disability ever since. It seems to happen naturally when you have a child with special needs. My son has autism therefore I talk about autism, not only to educate other people but also to – InshaAllah – lay the groundwork for the cultural shift that my son, and thousands of other Muslim children, will need in order to survive their own futures. I talk about other disabilities as well. I have what is considered an invisible disability called Ehlers-Danlos Syndrome. I have a genetic defect in my collagen that is responsible for a domino effect of secondary problems: Autonomic Dysfunction, Postural Orthostatic Tachycardia, Mast Cell Activation Disorder, etcetera, etcetera. My heart, lungs, and especially my joints exist in a state of gradual, invisible deterioration that will persist as long as I do. Currently, I am writing live from an enormous plastic boot meant to protect the tendon I tore in my foot doing nothing fast, dangerous, or remotely interesting. My advocacy has been an educational experience for myself as well. In talking to the Muslim community about disability, I’ve learned a lot from the Muslim community about disability. For starters, I’ve learned that everyone always agrees with me. It’s awesome! I say, Muslims with disabilities deserve better! And everyone is always like yeah! And I say, every Muslim has a right to the masjid! And everyone is like yeah! And I say, please install a wheelchair ramp! And people are like …yeah. I’ve learned that there is no difference of opinion — religiously speaking — when it comes to recognizing the rights that Muslims with disabilities have. Like the rights of the poor, the widowed, and the orphaned, the rights of Muslims with disabilities are indisputably part of our religion and our success as a believing community. So we fundraise for Syria, Takbeer! And we fundraise for Palestine, Takbeer! But can we fundraise for that wheelchair ramp? Allah… willing, sister. Make dua. It’s weird. We all agree that Muslims with disabilities have the right to access and accommodation in our masajid and our communities, but why don’t we seem to be doing much about it? We all agree that fulfilling these rights are fard, but why do so many of us act like the rights of Muslims with disabilities are optional? I don’t even mean optional like sunnah. I mean optional like the rights of Muslims with disabilities are some sort of extra, extra credit that we can get around to after we’ve taken care of everything and everyone else first – even when our religion teaches us otherwise. I’m trying to understand this disconnect, I really am. I have to ask, what are we, as a community, missing? The answer is — roughly 20% of us. Nearly 20% of people in this country are living with some form of disability. The Muslim population is included in that statistic, but is the Muslim community reflective of it? 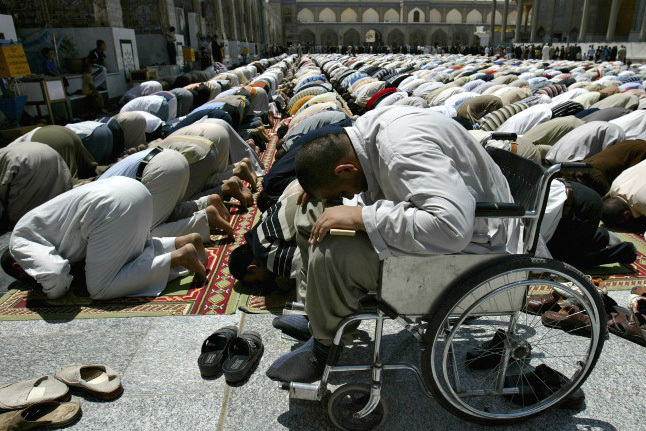 If 200 people pray Jumuah at your masjid, do forty of them have some sort of disability? Of the dozens of people that comprise your social circle, are even like four or five of them disabled? Remember, 20% of people living in this country have some form of disability, and that’s this country. In places of conflict, more Muslims are permanently disabled through injury. In places of poverty, more Muslims lose their sight and health to otherwise preventable diseases. If twenty out of every hundred people that you knew suddenly stopped coming to the masjid, that would be reason enough for you to take notice. Muslims with disabilities are missing from our masajid, why are we not taking their absence seriously? I’ve asked around and one of the most common explanations seems to be that people know, but don’t care. So why don’t they care? Maybe they don’t care because disability is not real to them. Maybe until they’re deaf, or their child or their parent is deaf, they don’t think about what it must be like – sitting in the masjid and no one speaking to you? Maybe they’ve never wondered what it feels like, sitting through a khutba that no one will interpret for you. 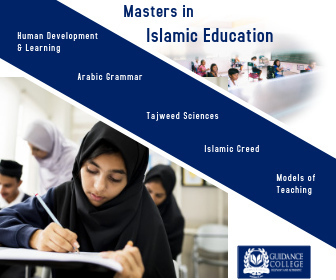 Maybe they’ve never had to imagine never, ever attending Islamic classes because you need sign language interpretation but when you ask for it, no one is willing to provide it for you? I don’t think that’s too big an assumption for the hearing community or for the neurotypical, able-bodied, and otherwise healthy Muslim community as a whole. Before my son was born with autism I didn’t even know what autism was, let alone how difficult it was to be part of the community if your child is treated like a shaytaan and you as the mother of his evils. True, no amount of well-intentioned empathy or introspection could give a neurotypical, able-bodied Muslim the truest impact or experience of what living with disability is like. The world is full of much that we can never know until we experience it ourselves, but lack of complete knowledge is not an excuse for willfully maintained ignorance. When the collective will to do better is there, then the ways open up. It took me one conversation – just one – with a visually impaired sister to learn that putting your shoes up on the shoe rack and keeping the wudu area dry isn’t just about tidiness, it’s about safety for the visually impaired. 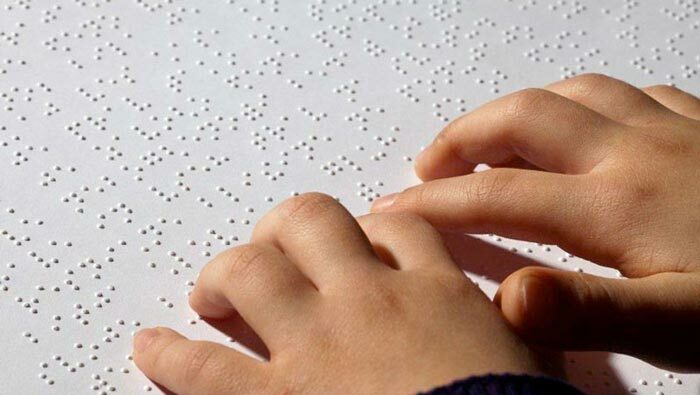 I also learned that, for whatever reason, a braille Qur’an costs over a hundred dollars to print – and this is the Arabic braille – like a pure braille Mushaf. I learned that there are currently NO braille copies of the Saheeh International English translation freely available. If you wanted to buy one, it would cost you … guess. Twenty dollars? Fifty dollars? 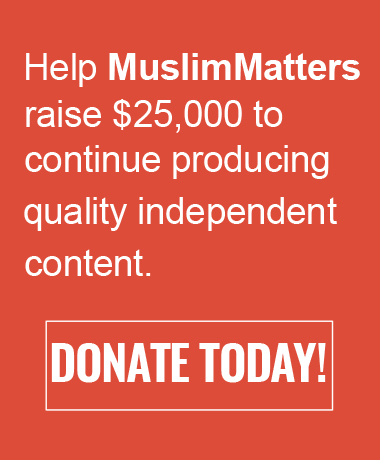 How much is too much to pay for a translation of the Qur’an? A braille copy of the Saheeh International translation of the Qur’an costs 250 dollars. I didn’t know this before. Neither did you. But now that we know, are we ok with this? Can we accept free or affordable translations of the Qur’an as standard for everyone except visually impaired Muslims? Oh, and if you think your access to Islamic books is limited by lack of translation – try finding a braille copy of Sahih Bukhari or Diseases of the Heart or Fortress of The Muslim. Allah made some Muslims blind – that’s the Qadr of Allah. But we’re the ones keeping them from religious education through our collective ignorance and apathy of their situation. Allah made some Muslims deaf, but we isolate them when we refuse to provide sign language they need to “hear” or learn from anything that is being taught in the masjid. Allah made some Muslims unable to walk, but we’re the ones preventing them from attending prayer and being part of the community. We decided that as long as we can get through the front door, that it’s no problem if other Muslims can’t. As long as we can do wudu and we can access the musalla, who cares if other Muslims can’t? Twenty percent of Muslims live with some sort of disability. Are we the 80% saying – silently through our actions, even if not out loud with our words –that as long as we can learn our religion, we can be part of the community, and we can get married and get hired and live happily ever after – as long as we can do this, that we don’t care if other Muslims can’t. That is a very clear, very direct, very powerful statement. We are not people of true faith until we take care of all Muslims as well as we would like to be taken care of ourselves. Our own brothers and sisters face unnecessary social and religious isolation – not because of their disability – but because of OUR RESPONSE to their disability. And maybe none of these Muslims are your parents or your children, but all of these Muslims are your brothers and sisters. You don’t have to have a special needs child to ask your masjid to provide Sunday School or a Hifz Program for children with special needs. You don’t have to lose your sight to make education and events accessible to those who have. You don’t have to be deaf in order to make sure that your masjid is teaching and speaking to those who are. You don’t have to know anyone with a special need of any sort to know that they deserve as much from the community as you do. All you need is the knowledge that another Muslim needs you. And then you just have to help. Disability is a test. It has a start, and end, and a reward for success. And like all tests, disability is an opportunity for us to do right by each other by loving for each other, what we love for ourselves. Allah willed that twenty percent of us should be honored with the opportunity to earn extra blessings by enduring extra challenges. And Allah demands that the rest of us rise to the occasion and serve Him by serving His creation. Beautifully written. May Allah strengthen you. Next Next post: On Praying : Why Bother?